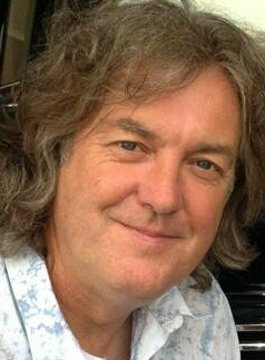 James May is probably best known for being one third of arguably the most successful television programme of all time, BBC’s hugely popular Top Gear. Along with Jeremy Clarkson and Richard Hammond, James now presents Amazon’s The Grand Tour. It’s James’ solo projects however that he’s most proud of and boy has he achieved some milestones. Not many people can claim to have built a house out of Lego, a Chelsea medal winning garden out of plastercine and a motorbike out of Meccano, but these are just a few of the amazing feats undertaken in James May’s Toy Stories. The original BBC2 5 part series was followed up with annual specials, the most recent of which saw the relatively useless Action Man travel at the speed of sound. Then there was James May’s Man Lab which ran for 3 series, James and his team were on a mission to save modern man, no longer a resourceful, practical and dependable band of brothers, they had become a pitiful state. James has also been the host on the series The Reassembler, a documentary focusing on reassembly of various pieces of technology from the past. 2014 saw James May’s Cars of the People, with true storytelling at it’s heart it hit the spot with amazing stories of the cars which have defined generations of every man. The series was created, written and presented by James. Other projects have taken him to the edge of space, forced him to share a caravan with Oz Clarke and seen him attempt to fly with a jet pack on his back. James May has a wealth of corporate experience working with many blue chip companies, his relaxed style coupled with his sense of humour, sharp dry wit and exuberant personality make him an ideal choice.